We are 8 miles from Junction 14 on the M4. 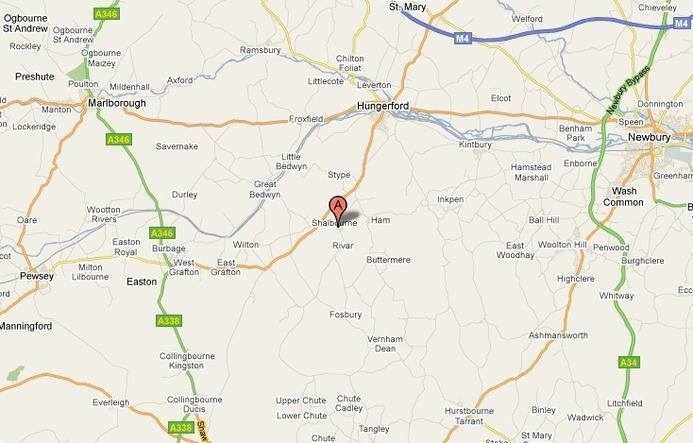 Also about 9 miles from Andover, Newbury and Marlborough. To get to Shalbourne from J.14 take the A338 to Hungerford and follow through the town towards Salisbury. After 4 miles turn left down to Shalbourne. Through the village to the pub 'The Plough' - fork left up Rivar Road. The drive is 120m on the right - come straight on up to the house. history and things to see and do. Public transport is available by bus from the village to the railway stations at Bedwyn and Hungerford. Taxis can be arranged.